DHL Freight has been awarded an extension of its contract with the BMW Group and will continue to manage the vehicle manufacturer’s overland transport in 17 countries covered by the companies’ previous contract. As a result of the tender, DHL Freight also won an expansion of the collaboration, taking on supply chain management of the BMW Group in seven additional areas. A new DHL Freight custom-made logistics solution was implemented as part of the contract conclusion. Connected Supply Chain depicts the entire supply chain digitally, delivering real-time, end to end visibility and management control to all relevant stakeholders. Aspects such as order and status data are visible via a central portal, and orders receive a single reference number from beginning to end. 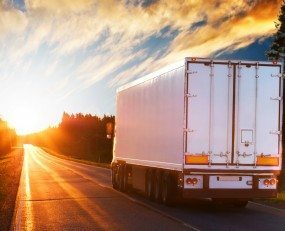 DHL Freight’s solution was developed together with AXIT, a specialist for in cloud-based IT solutions for managing cross-enterprise logistics processes, in order to feed CSC with the relevant information. As part of the solution, DHL Freight has established a Control Tower, where all streams of goods in Europe are monitored, providing an opportunity to consolidate complex data and identify areas where operations may be optimized. DHL Freight’s new contract with the BMW Group covers the management of about 90,000 shipments per month.